No business remains a leader in its market for almost 40 years without a strong core and a sharp eye. That’s been the key to success at Long Island, N.Y.-based Coach Realtors® since the Finn family acquired the brand in 1980. 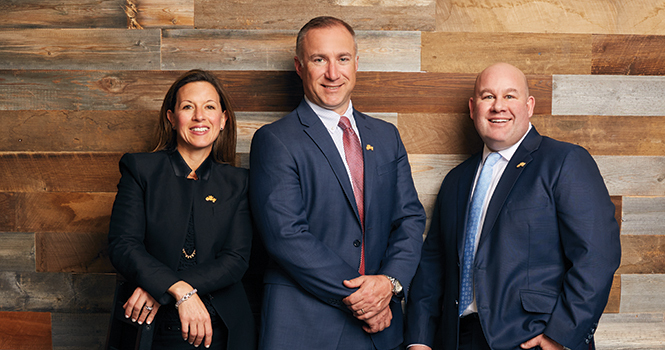 Here, Finn shares how he and his leadership team have evolved the firm to weather a constantly changing real estate landscape, and remain a force locally and a thought leader industry-wide. Maria Patterson: Please describe your firm’s history and current positioning in the marketplace. LP Finn: Coach Realtors® was founded in 1954. Larry and Georgianna Finn acquired the brand from the original owners in 1980, and they remain a guiding force for us today as chairman and president, respectively. My sister, Whitney Finn LaCosta, serves as general manager and oversees the daily activity of the branch offices, and her husband, Robert LaCosta, oversees our mortgage and title operations, Coach Title Insurance Agency, and our co-owned lending institution, Academy Mortgage Corporation. We’re all involved in any major decision-making, and our solidarity is, I think, one of the things that keeps us focused. 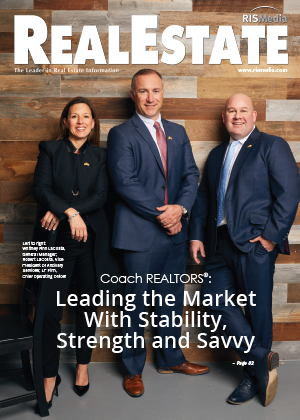 Coach Realtors® is ranked within the top 200 brokerages in the United States in RISMedia’s Power Broker Report, consistently among the ranking’s billion-dollar producers. LPF: We have 19 offices and over 650 sales associates serving over two million residents in Nassau and Suffolk Counties. We posted over $1.4 billion in sales in 2017. A large percentage of those sales were multimillion-dollar properties. We’re proud to be a market leader and a member of the finest real estate networks in the world: Christie’s International Real Estate, Leading Real Estate Companies of the World®, Mayfair International Realty, Luxury Portfolio International® and Who’s Who in Luxury Real Estate. LPF: In one word: stability. Coach Realtors® has been in business since 1954, so we’ve witnessed market highs and lows, paradigm shifts in the industry and many, many competitors come and go. Through it all, we’ve grown smartly, invested wisely and built a firm that’s stable in any market and respected by an entire industry. 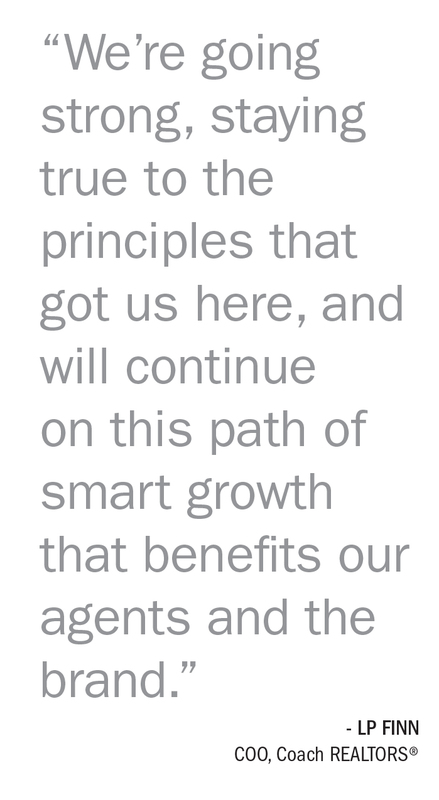 We’re going strong, staying true to the principles that got us here, and will continue on this path of smart growth that benefits our agents and the brand. MP: How would you describe the current state of your market? What are the greatest challenges and opportunities? LPF: Our greatest challenge is also our greatest asset: staying true to our proven principles. Many newer brokerages, online influencers and even sales agents believe in rapid change or the adoption of new business practices. We feel that pressure to change, but we know these unproven ideas are often “one-trick ponies”—each looks good in a rising market, but they’re usually built upon sand and, therefore, lack staying power. Experience has shown us that longevity and continued success can’t happen without a commitment to our core values of financial stability, agent support, a focus on professional growth and brand recognition. LPF: We differ from other brokerages in many ways. An important difference is our exclusive membership in world-class brokerage networks such as Christie’s International Real Estate. These networks provide our agents with a real advantage over other brokerages and truly unique market position. Sales agents with Coach Realtors® can provide their sellers with industry-leading property marketing and access to an exclusive pool of upper-tier buyers. Our agents also love the digital suite of services each network provides. These online tools allow an agent to rapidly grow his or her business by gaining new clients or increasing their average selling price. The networks also offer unsurpassed support, training, and, above all, brand awareness. LPF: Sales associates are attracted to Coach Realtors® because of our unwavering dedication to their careers. A real estate salesperson flourishes when he or she has a strong, successful brokerage behind them—a brokerage with vision, meaningful training, great marketing support, a success-oriented company culture, and a full suite of market-leading sales tools and resources. I also cannot say enough about our management team. These talented individuals are the backbone of the Coach organization. The branch managers within Coach are amazing people filled with professionalism, integrity, caring and a desire to see the sales agents succeed. MP: How are you helping agents stay ahead of the curve on technology? LPF: We just re-launched Coachrealtors.com. The new website offers consumers a truly wonderful online experience and also provides our agents a robust intranet. The new intranet helps agents manage all aspects of their business while automating many daily activities. There’s way too much to list here, but I can assure you that it’s really amazing! LPF: We understand that every agent at Coach Realtors® is a valuable business partner. They’re the people out there representing the Coach Realtors® brand, and we take seriously our longstanding commitment to provide them with a workplace that’s supportive, fair, friendly and fun—not to mention technically advantaged. 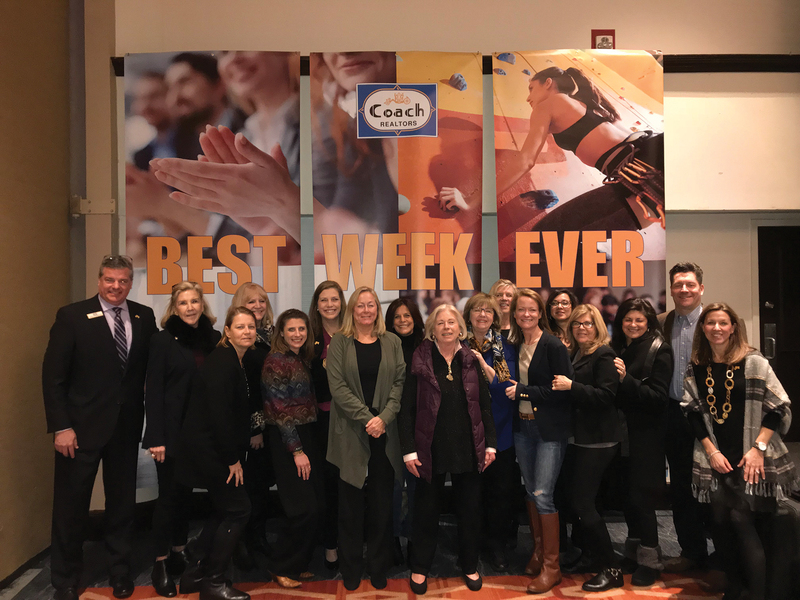 Speaking of fun, in February of 2018, we hosted The Best Week Ever, which consisted of 18 events over five days that focused on body, mind and career. 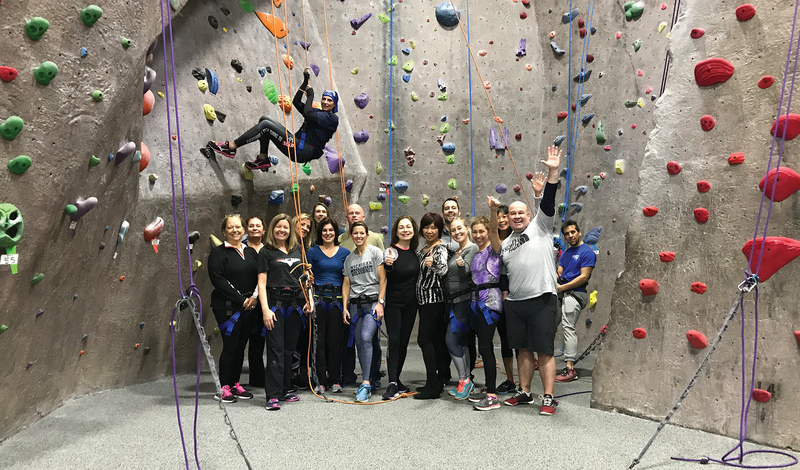 Events ranged from yoga to rock climbing, from financial planning to building listing inventory, from our awards dinner to an early morning inspiration breakfast featuring Mount Everest summiter Gary Guller. This is just one of the many reasons we have agents who have been building and sustaining successful careers with us for 20 or 30 and even 40 years. LPF: We’re proud to provide each sales agent at Coach Realtors® with unlimited, no-cost access to Institute, powered by Leading Real Estate Companies of the World®. Institute, which is both online and mobile-device compatible, is an on-demand real estate learning center with hundreds of courses and direct access to the creative thinking of some of the top real estate minds in the industry. We cannot say enough about this comprehensive learning platform. It’s filled with engaging, role-based, just-in-time learning modules with distinct, relevant content tied to specific agent needs and objectives. Institute helps our agents to be better at every aspect of the business, whether it’s negotiation, luxury marketing, investor relations, home staging, prospecting, or effective use of social media, to name just a few. In fact, in January 2018, Training Magazine ranked LeadingRE’s Institute No. 1 among the Top 125 learning and development programs across all industries throughout the world. MP: What are some of your most innovative marketing strategies? How are they helping you connect with consumers? LPF: Our firm’s Director of Social Media Shannon Heyman is really doing some impressive work. Social media is more than just “posting stuff” online—there’s a science to it and each action is measurable. Our social media program is reaching a large number of online users each day, and we’re seeing large-scale engagement, far above the competition. That positive engagement is driving buyers and sellers straight to Coach agents each day. LPF: We’ll continue to grow vertically, adding to the sales teams in each branch office as our marketshare continues to increase. To do that, we’re actively recruiting new and experienced agents who are a good fit with our company culture. We especially look for candidates with excellent people skills and the desire to learn and grow. We’re also open to timely and strategic acquisitions and to new partnerships that help us do an even better job of what we do best. For more information, please visit www.coachrealtors.com.